The e-Embroidery Workshop was organized by the eCrafts Collective in March 2012 in Helsinki at the Cable Factory as a part of Pixelversity. The workshop lasted one weekend and explored the marriage of traditional embroidery and electronics. 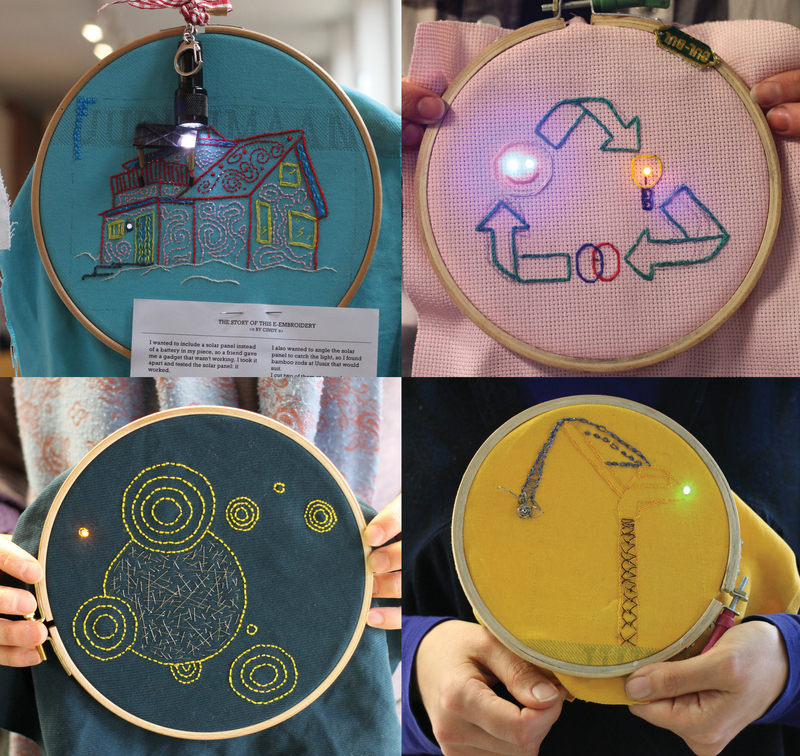 After a brief introduction the participants stitched soft circuits embedded in fascinating embroidery patterns using regular yarns, conductive yarn and LEDs. No previous experience was required for joining the workshop, but some of the participants had a textile background while others were more familiar with digital media and electronics. Rather than focusing on making advanced e-textile artefacts, the workshop aimed to create a shared space for exploration, exchange of ideas and resources. 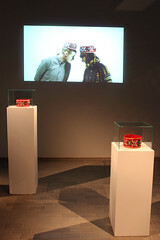 The embroidered creations were exhibited as a collaborative art piece at Camp Pixelache Open Design Stalls in May 2012. The workshop was supported by the helping hand of Andrew Gryf Paterson from Pixelversity, Kässämartat who provided their experience of stitches, and TAUKO clothing brand, who provided recycled fabrics for the workshop. 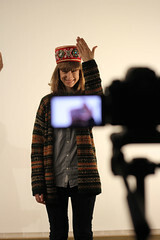 E-embroidery Workshop / Pixelversity / Spring 2012, a set on Flickr.